Dry Wall Publishing Inc., 9780992127503, 312pp. What if Napoleon Bonaparte had escaped from St. Helena and wound up in the United States? The year is 1821. Former French Emperor Napoleon has been imprisoned on a dark wart in the Atlantic since his defeat at Waterloo in 1815. Rescued in a state of near-death by Gulf pirate Jean Laffite, Napoleon lands in New Orleans, where he struggles to regain his health aided by voodoo priestess Marie Laveau. Opponents of the Bourbon regime expect him to reconquer France. French Canadians beg him to seize Canada from Britain. American adventurers urge him to steal Texas from Mexico. His brother Joseph pleads with him to settle peacefully in New Jersey. As Napoleon restlessly explores his new land, he frets about his legacy. He fears for the future of his ten-year-old son, trapped in the velvet fetters of the Austrian court. While the British, French and American governments follow his activities with growing alarm, remnants of the Grande Arm e flock to him with growing anticipation. Are Napoleon's intentions as peaceful as he says they are? If not, does he still have the qualities necessary to lead a winning campaign? 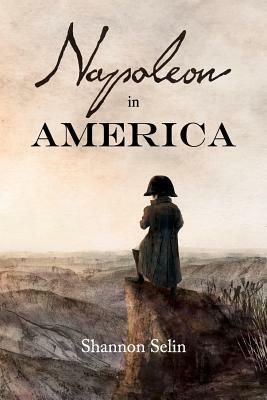 If you enjoy alternate history or 19th century historical fiction, Napoleon in America is for you.